What is the CSA Associate Relationship? Associate Relationship is a form of association with the Congregation of Sisters of St. Agnes through a public commitment. Associate Relationship is an experience of mutuality and collaboration within our distinct ways of life. Associates offer to the congregation a faith perspective from life experience and responsibilities in single or married life, in family, work, and society. The Sisters of St. Agnes offer a spiritual tradition, and a distinct charism of serving people that is lived out in mission, ministry, and community. Associates and sisters gather for sharing of faith and mutual support and collaborate as partners to further the mission of Christ and the mission of the Congregation in today's world. 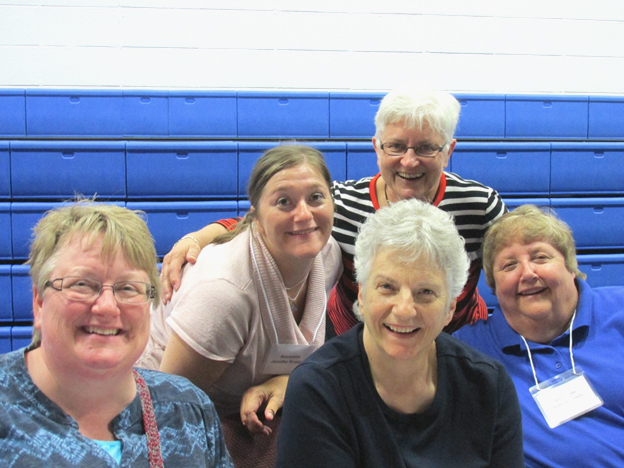 CSA sisters and associates gather at CSA Days.